Essential oil of true neroli. 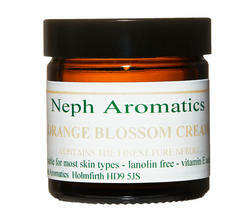 The exotic scent of neroli is distilled from thousands of orange blossom petals. This cream soothes, smooths and helps protect skin.